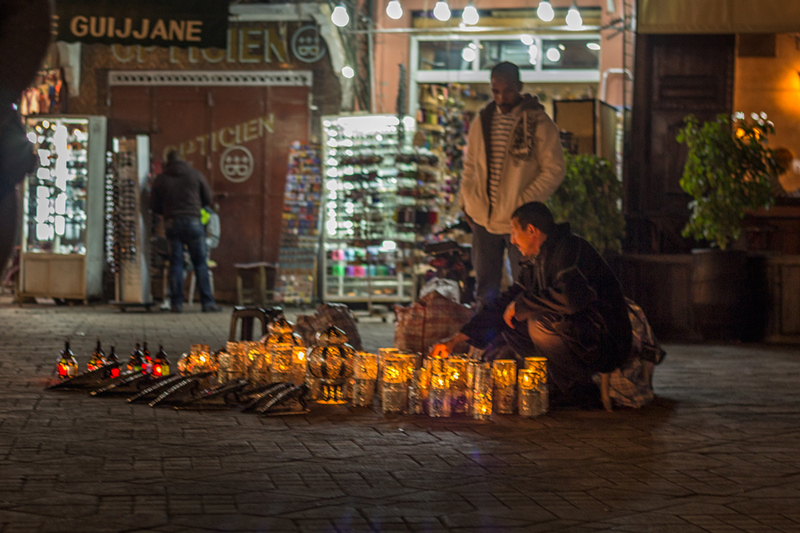 If we were looking for chaos, we found it at the night market in Marrakech. In fact, we found it within only a few minutes walking from our riad. After winding through several quiet derbs, we came to a main street that lead us to the markets in the center. The energy on this artery was instant and intense. Motorbikes sped and weaved around the crowds of people and carts pulled by donkeys, Pete took the outside lane to shelter me from the traffic. Around us, souks were hawking everything from bras to raw meat to household goods. Wonderfully colorful shops of shoes, fabrics and ceramics also brightened the way. Bonjour, hello, everyone called, a grand smile on their face and an outstretched hand leading would-be patrons into their store or open stall. We stopped to snap photos but were rather shy to take them. One shop owner yelled at me from across the way to stop. We became more sneaky and I pretended to pose so that Pete could zoom in around me and capture some of the street scenes. At one point I walked slightly ahead of Pete and we got separated. Within seconds, a small man with a wayward ball cap atop his head stepped in front of me, his eyes roamed my body from the feet up. “Very nice,” he creepily drawled. Becoming begrudgingly accustomed to this sort of unwelcome attention in Morocco, I casually stepped around him and into another crowd of people. Pete finally made his way back to my side. We neared the market and the alternating aromas hit full force. We passed spice shops that temporarily distracted from the heavy diesel fumes of the speeding motorbikes, and it wasn’t long before we caught the scent of grilled meat which meant we were near the center square. I began to get very nervous. Earlier in the day, a lady staying at our riad told a tale of her teenage son being surprised by a man who draped a snake around his neck without warning. After much imploring to have it removed, the man then demanded payment for the experience. Such men and their snakes are speckled throughout the markets, and I had been keeping a careful eye out to avoid them. They are most commonly found near the food stalls. “Do you want me to get bitten, poisoned and die?” I dramatically asked Pete as he mocked my fear. Through a crowd of people I spotted a man holding three small snakes as he scanned for obvious tourists. We were just two of those many tourists, but I wasn’t taking any chances. When we were within twenty feet of him, I positioned myself on the farthest side of Pete and clung to his torso. We passed unharmed, and I relaxed somewhat. But I was always tense and on the lookout. The assault of the obnoxious dinner slingers soon began from the stalls of fresh food and grills lined up under white tents. Each had one man responsible for coaxing patrons to their tables. “But you look like you are starving,” one said as we pushed past him. We were searching for the highly recommended stall number 100. We found it and immediately sat down, garnering small applause from all who worked there. Their charm was fictitious and obviously made for the crowds of foreigners. But it worked, and more people took seats around us. Our waiter led us up to the buffet of fresh, uncooked food so that we could pick out what we wanted. 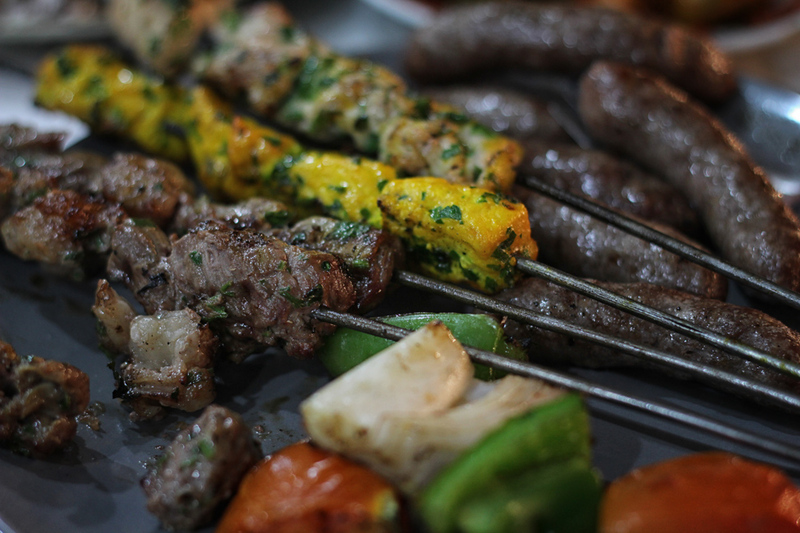 We ordered a round of mixed brochettes, veggies and sausage. I had asked our waiter about one pastry dish and he responded that it was traditional pastilla, filled with chicken and almonds. I didn’t order it, but it mysteriously showed up at our table with the rest of the spread anyways. Even the pastry thing (which, I learned later, is more traditionally made with pigeon meat). It was garnished with sugar and cinnamon which made it quite sweet for a chicken dish, but it was amazing. While we ate we enjoyed music from unrecognizable instruments just beyond. Several men pushing very large white carts walked past and tried to sell us a variety of desserts just as we were tucking into our grilled meat. More applause as more people sat down. The whole area was an electric whir of sounds, smells and activity. We left quite full and I commented that I wished we carried a sign that said “We-just-ate-don’t-bother-us!” because we immediately were being guided to various stalls as we walked past. 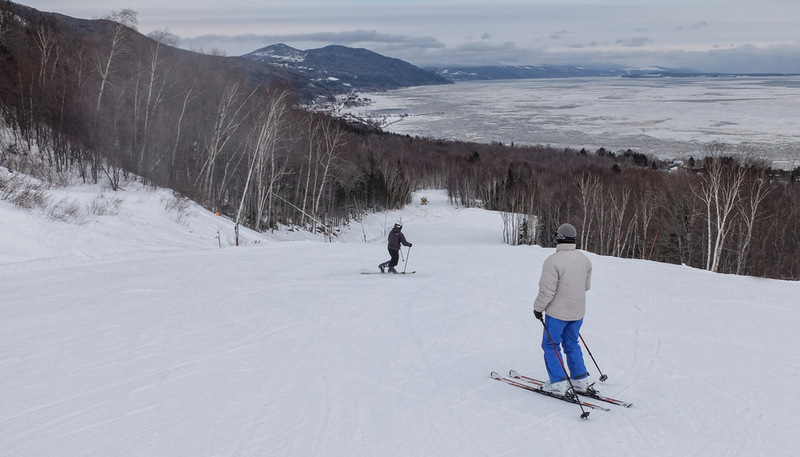 “Demain,” most of them insisted when we refused, “Come back tomorrow!” A couple of more aggressive men put their arms around Pete: “Mon frere, mon frere, remember me tomorrow!” Another saw the Canadian flag on our backpack and yelled out “Jim Carrey!” as we walked past. We made our way across the medina, ever mindful of snakes, to have a drink at a restaurant balcony high above, exclusively for the better view. From above we could see, and still smell, the clouds of grilled meat. The buzz of activity was mesmerizing to watch and capture. The whole area was an electric whir of sounds, smells and activity. We gave up our ringside seats on the balcony and walked towards the souks behind the food stalls. Being almost nine p.m., they were closing for the day. We bought some almonds, marveled at the perfect stacks of spices, and then began the artful exercise of dodging obstacles on the crowded streets back to our riad. We were amazed at how just a few steps off the main street, and other than for the few polite locals we passed, silence so quickly befell. High-end It’s rare when a luxury hotel feels like home. The staff, decor, and food at La Sultana Marrakech are wonderful, and definitely a fantastic option. Mid-range Spend a relaxing afternoon on the quiet terrace of Riad Linda, and then walk a short distance to the heart of a bustling market! This hotel is a great mid-range option for your trip to Marrakech. Many thanks to Riad Linda for our discounted stay while in Marrakech. For a full review, please click here. Budget Stay at Jnane Mogador if you’re looking for gorgeous rooftop spaces, lovely breakfasts, and an amazing hammam experience all at a reasonable price. Please note that some posts contain links that earn us a small commission (at no additional cost to you) which help keep this site running. 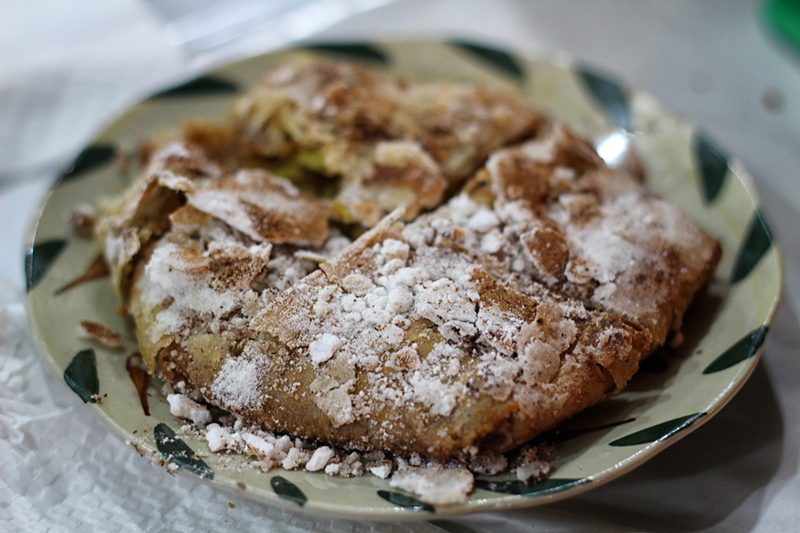 Pastilla is my favorite Moroccan dish ever. Such a surprising sweet taste! There used to be a Moroccan restaurant in London that had the best pastillas I’d ever tasted, but it has closed down since. Pastillas would probably be a good enough reason for me to visit Morocco one day – even though it means I have to get used to chaotic markets! I loved eating in the market at night…it was a really interesting experience! The food was amazing. I like the pics you were able to sneakily get-so many great colors. However, I think I got anxiety from all those motorbikes…I was convinced I was gonna see someone get run over! I am REALLY excited (& now a little nervous about snakes) to experience this when I’m there in 4 weeks! Seriously, though, I’m not scared of snakes but if anyone puts one on me I will hiss at him! 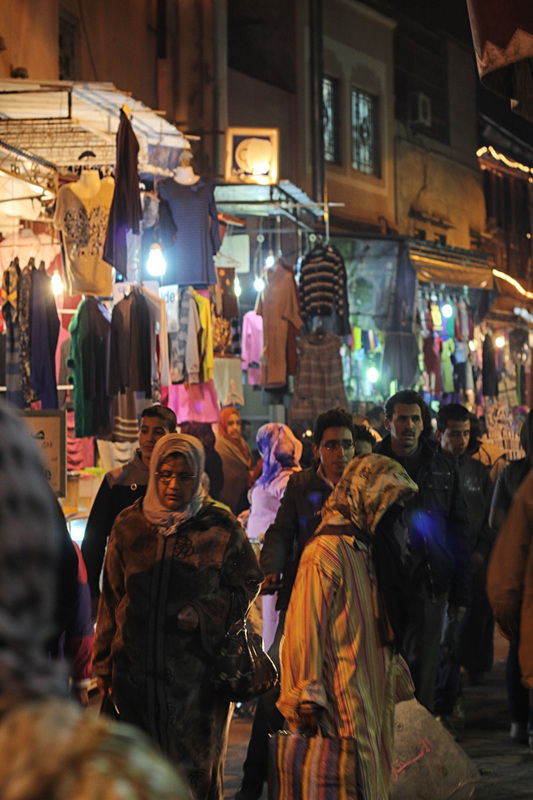 having heard about Morocco and these night markets for so long, I really can’t wait to go someday. Love the neatly stacked spices and description of the quiet when leaving. I still want to know how they get the spices stacked like that!! An evening in the markets really is quite an experience. Our time in Morocco was just that – an interesting adventure! I knew that for our night market experience I just wanted to write a step-by-step occurrence of all that happened to give people a real feel for what it would be like. Interesting to hear it is quite similar to Tunisia, I hope to make it there someday too! Yes, I couldn’t handle much more then that either, even with Pete. I think he got tired of me clutching on to him so furiously as we walked the streets (especially to avoid the snakes!) LOVED your post on your experience – such vivid descriptions! Ciao Dalene and Pete, I’m the father of the “snake boy” you referred to in your post, we are currently in the countryside of Tuscany, quite a different environment to where we last saw you in Morrocco. 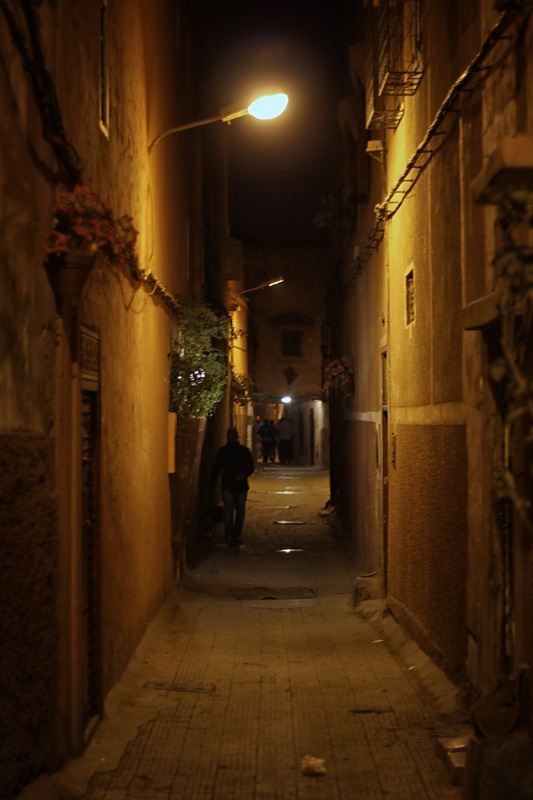 Your post brings back fond memories of the “Madness of the Marrakech Medina” and the peace and tranquility of Riad Linda. Looking forward to hearing about your camel trekking experience. Wow that sounds crazy and amazing at the same time… I love the pictures! It remembers me a little of the Grand Bazaar in Istanbul but more hectic and bigger! I’ve heard that Istanbul’s is crazier! Hmmm…will be there in March so will have to compare! Wow…All the information I need to navigate a Moroccan market and a fantastic pick-up line to try on my wife later on tonight! Possibly your most educational post ever! Talk about sensory overload! What a fun experience. I’ve only been to Tangier and Asilah, but am really interested in heading to Marrakesh. Sensory overload – exactly. Can only be done in small doses! I wish we had spent more time in Tangiers on our way down. Great reporting – I could hear the noise, smell the spices and the foods, see the people milling around. InsideJourneys recently posted..Travel Disasters: Do You Have an Emergency Plan? Can’t wait to see what you’ll cover today. And what photos you’ll have to sneak to take. Hahaha!! I smiled when I read that ’cause I’ve done that so many times, especially if I think they might say no if I asked. Though the market looks busy, it looks clean and tidy. I understand why you were avoiding the snake persons. I enjoy watching them in the distance but I am not a big fan up close since I don’t want to take chances as well. The things they are selling in the market sounds interesting especially the food. I like the shots you have taken and they look delicious. Thanks Donna! Yes, they were fairly clean and tidy. And even though we went to stall 100 (as a recommendation), I think most of the stalls would have done fine, they all do look quite clean with fresh food. And the food was so good! I love how the lights made the market attractive. I prefer visiting there at night as well. It is cooler and less dusty. I love the photos of the selection of food. They are just how I remembered them. It was COLD at night this time of year! But still the best time to visit the markets – it just comes alive, and the lights do add to the atmosphere. Really enjoyed your description of Jemaa el Fna at night – I was there a couple of months ago and it is a total assault on the senses. There is a real energy about the place. I was pleased to see that not everything was put on just for the benefit of visitors (street theatre, musicians etc). It’s one of those places that you really have to experience. I agree Jack, although it does seem fairly touristy at times, the energy and atmosphere still just have to be experienced. I really loved it (minus the snakes). I understand the fear of having a snake placed around your neck. Too bad about the leering men. 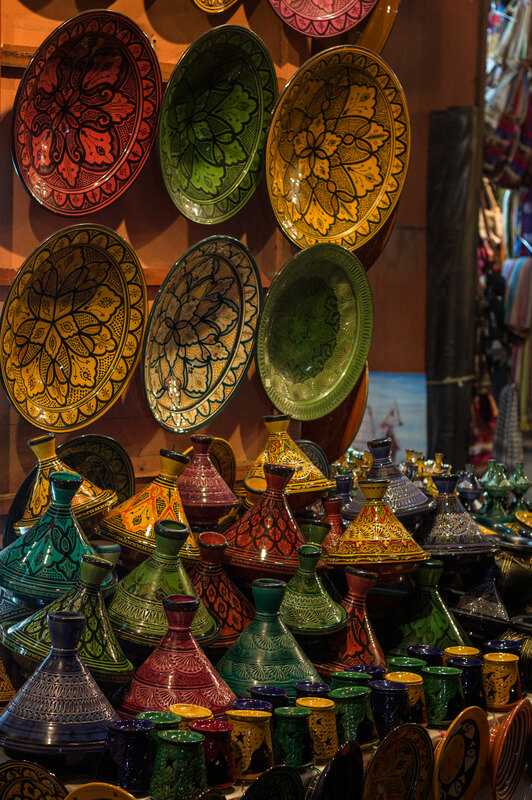 The market itself sounds exciting, and the riad delightful. The riad was our haven away from all the craziness (it was SO remarkably quiet), which is needed after all that excitement in the markets. 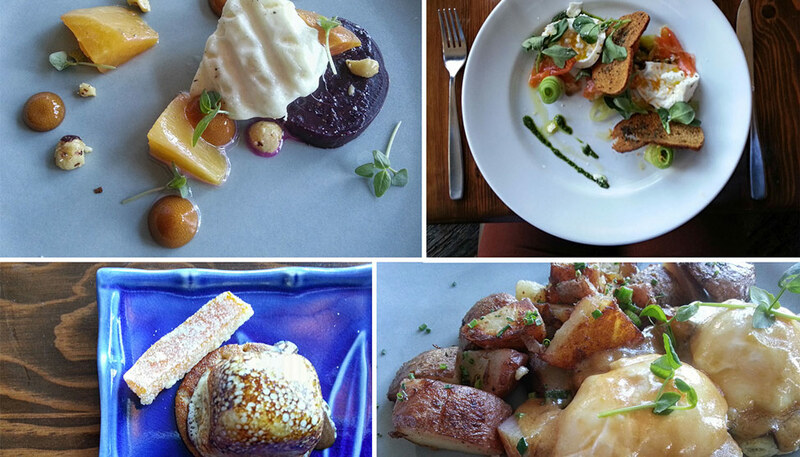 Awesome photos guys, of course you know I love any and all food photos. The spices look incredible. I wish I could have seen how they stacked the spices that way. Some had completely perfect peaks. 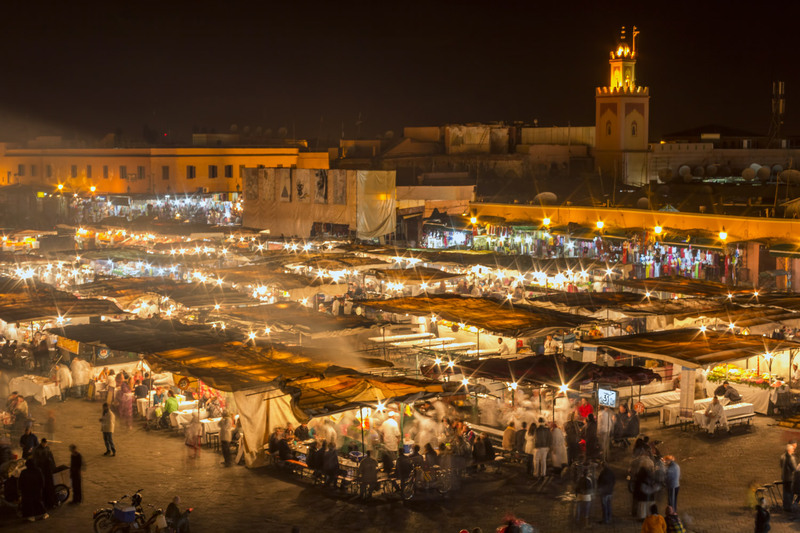 The snake thing is pretty scary and creepy, but I’d love to experience the energy of the night market in Marrakech sometime. Great photos. If it’s in a market cooked on a stick, it gets my vote. I still have yet to visit a night market on my travels. This one looks full of energy (and good food). The food was really, really good. And the night markets are definitely worth experiencing – although I have to say that our one visit was probably enough! Great post! I had an experience of such snake madness whilst in a busy market in India. The result was a very un-ladylike barrage of loud swearing! Snakes aside, Marrakech looks amazing. I’d love to visit one day. I can’t believe they’ll put a snake around your shoulders and then make you pay to remove it! That’s just… wow. In those types of situations I never pay out of principle, but having a live snake on you ups the ante…. With all due respect to the defenseless snakes, that poor sucker woulda been dead had he been draped around my neck. Erica recently posted..Hostel Hopping with Hostebookers! They do get AWFULLY exhausting. Especially when having to be on alert for creepers like snakes. If it wasn’t for that, I think we would have gone down every night. I went back to the night market in Marrakech in September, and I forgot how delightful it was in all of its sights and sounds and smells (minus the snakes). Ah, if only there were no snakes, I would have relaxed and enjoyed it a bit more I think! But it was still a pretty cool experience. Visiting night markets is one of my favourite things to do when traveling. This certainly looks like a place I’d enjoy checking out. Nomadic Samuel recently posted..Smiling Faces Travel Photos Official Launch! We have been to no other night markets so have nothing to compare it to! But I am sure you would enjoy it. This was probably one of the coolest market encounters I’ve read about. Love it being from the personal perspective. That mountain of spices is AWESOME. I loved those spice mountains too. I was tempted to sneeze by one and see what happened. But I didn’t. 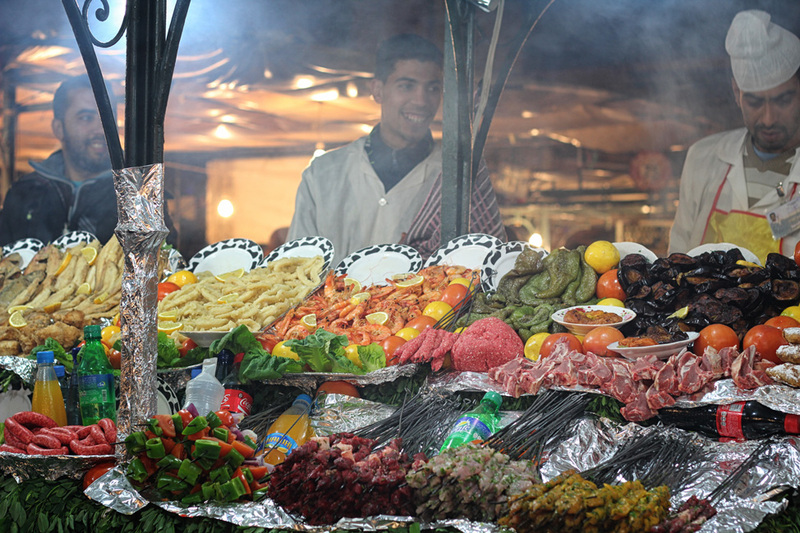 I’ve heard about Morocco and these night markets for so long, I really can’t wait to go someday. Love the neatly stacked spices and description of the quiet when leaving. 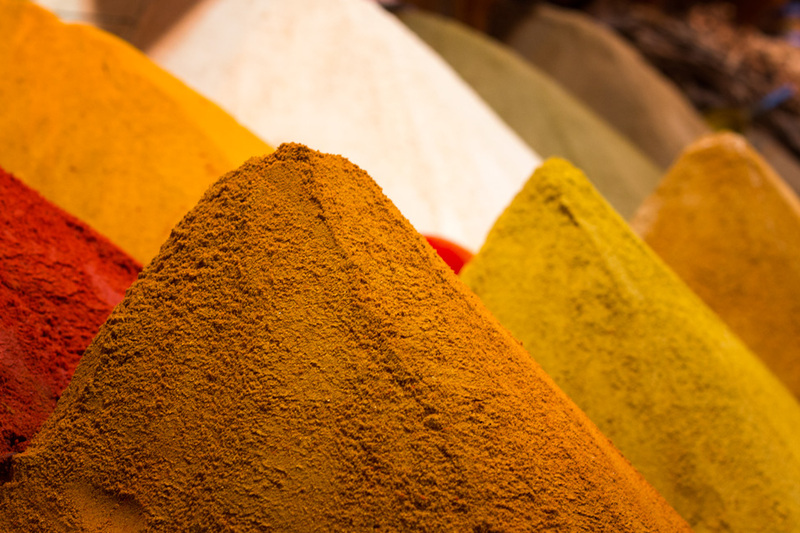 The stacked spices everywhere were quite a sight to see. Loved them! Now you got me thinking… Snakes around my neck? God no! We are supposed to book our flight to Marrakesh tonight! Do these snake guys act during the day to? I’m having second thoughts. Laura, they are easy to avoid. If you just make a wide berth around the market you will easily avoid them. When in the market, just keep a lookout for them. I don’t think they will do it if they could see you would be freaked out by it. I know it’s very different but somehow this night market reminds me a little bit of the ones we went to in South East Asia, in Taiwan or Thailand for instance. I loved them not so much for the amount of uncooked meat and fish on display that sometimes smelt too much for me, but for the colours, the people walking around, the hustle and bustle of the whole thing.